Serena Williams (1): Having lost three of her four finals in 2016 (including Aus Open and French Open) prior to SW19, a seemingly calmer and more focused Serena rolled through the field to win Slam #22 at Wimbledon. In defending her Olympic title, Serena will play for the first time since Wimbledon having pulled out of Montreal due to inflammation of the right shoulder. Draw-wise, players that have beaten Serena before such as Alizé Cornet (R2), Roberta Vinci (QF) and Petra Kvitova (QF) are all present in her quarter. Angelique Kerber (2): An elbow injury may have forced Kerber to withdraw from Bastad but she rebounded strongly in Montreal. The 2016 Wimbledon finalist reached the semi-finals where she rather impressively managed to find a way to win her first two matches when not playing anywhere close to her best. The draw is tough in Rio with a potential second round tie against Eugenie Bouchard or Sloane Stephens likely to spell danger. Garbiñe Muguruza (3): The Spaniard will be playing her first competitive match in well over a month following a second round loss to Jana Cepelova at Wimbledon. Muguruza withdrew from Montreal due to a gastrointestinal illness. She will be playing in her first ever Olympics and takes on Jelena Jankovic in the first round, who she has defeated in straight sets on the last three occasions. Agnieszka Radwanska (4): After going all-in on the grass court season, Radwanska didn’t reap the rewards as she lost out to Dominika Cibulkova in a gruelling and fabulous fourth round match. She looked off-the-pace in Montreal and will be looking to rediscover her early season form at the Olympics where she has only ever won one singles matches in two previous tries. First up is Saisai Zheng in a first career match-up between the pair. Venus Williams (5): Up to #6 in the world, her highest ranking since the 2011 Australian Open, Venus has had an impressive run of recent form that saw her reach the second week of the French Open and the semi-finals of a Slam at Wimbledon for the first time since 2010. In her fifth Olympics and riding a wave of confidence, Venus will be one to watch despite a pretty testing draw that features the likes of Muguruza, Bacsinszky, Pavlyuchenkova and Safarova in her quarter. Roberta Vinci (6): Recent form may not have been so joyous; in fact over the last five tournaments, Vinci has won the fewest matches of any of the 16 seeds. The Olympics should be a big boost for Vinci who is set to hang up her racquet at the end of 2016… let’s hope she actually gets her racquets before the action starts following a nightmare journey! Vinci has drawn what appears to be a favourable opener against Anna Karolina Schmiedlova, who finally won a WTA main draw match in Bastad, her first since January. Madison Keys (7): Competing in her first Olympics, Keys looks to have a decent shot at a medal based on recent form. The American player has compiled together a 21-4 W-L record over the last five tournaments, second only to Serena. A run to the final in Montreal was super impressive although a 6-7 3-6 loss to Halep in the final did showcase that there’s still plenty to improve upon. In terms of the draw, Keys has benefited from being on the opposite half of the draw to both Serena and Venus. Svetlana Kuznetsova (8): It’s still a surprise to see Kuznetsova seeded so high for big tournaments but it is a mark of her superb consistency in 2016. A fully fit and firing-on-all-cylinders Sveta is a huge asset to the WTA tour. Kuznetsova’s recent form has been sound and she’s located in a nice pocket of the draw that should give her time to find her range and settle. First up is Wang Qiang of China, who won the $50k ITF tournament in Wuhan in her last tournament. Carla Suárez Navarro (9): Competing in her third Olympics, Suárez Navarro will be aiming to make it past the second round for the first time. Recent form has been steady and she’ll need to be on her game up against Ana Ivanovic in the first round. Johanna Konta (10): In her first Olympics, Konta received a plum draw (on paper!) as she’ll play Stefanie Vogt of Liechtenstein. Konta has been in excellent form during most of 2016 and arrives in Rio having won her first WTA title in Stanford and reached the quarter-finals of Montreal; Konta is 19-8 on hard courts this year. Petra Kvitova (11): Kvitova has had a disappointing 2016 season and despite a brief upturn in form around March and April, wasn’t able to push on on her beloved grass. Kvitova has won at least one title on tour every year since 2011 and there’s always one time where Peak Petra makes an appearance. It hasn’t happened yet in 2016 so could it be Rio? If it was, it would be classic Petra coming out of nowhere! Timea Bacsinszky (12): This won’t be Bacsinszky’s first Olympics as she played Beijing in 2008 where she came up against Venus Williams in the first round. Eight years on and she’s much better equipped as a top 12 seed. While situated in the more dangerous top half, Bacsinszky is in a neat little section of the draw that should give her time to shake off any rust having not played since Gstaad. Sam Stosur (13): Playing her fourth Olympics, Stosur is still yet to make it past the second round in singles. She may have her hands full with Jelena Ostapenko in the first round in a first career match-up. Anastasia Pavyluchenkova (14): Pavs has been on the rise of late, reaching back-to-back quarter-finals in Wimbledon and Montreal with wins over the likes of Bacsinszky and Radwanska. While still vulnerable against players she is expected to beat, Pavs looks to be heading in the right direction again. Elina Svitolina (15): Competing in her first Olympics, Svitolina will want to rid the memory of her last competitive match on tour where she was two points away from a big win over Kerber in the third round of Montreal before losing in three tiring sets. Rio starts tough for Svitolina up against Andrea Petkovic in the first round. Barbora Strycova (16): Sneaking in as the number 16 seed, Strycova is playing her first Olympics in singles since Athens in 2004 (!) where she played the eventual gold medalist in the first round, Justine Henin. This time round, the Czech player takes on recent Washington champion, Yanina Wickmayer in the first round. Serena Williams v Daria Gavrilova: This should be a fun opener with Gavrilova always good value with her on-court antics and her gutsy tennis too. 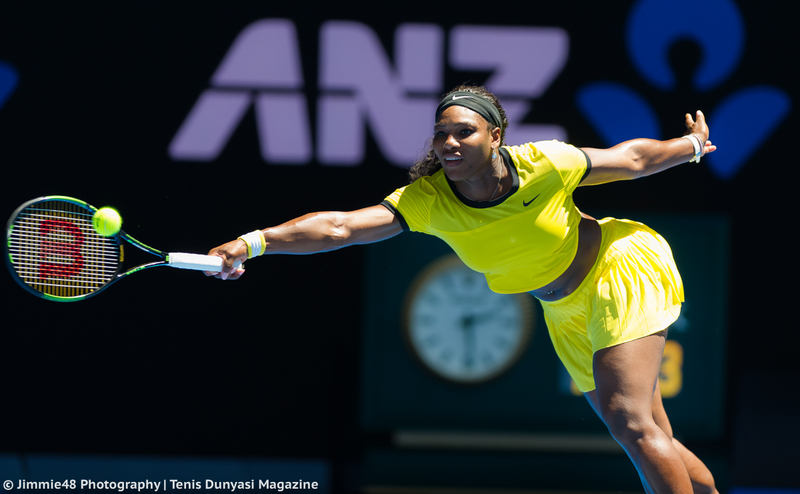 Serena dropped just three games in their first ever match-up in Doha in 2013. The Aussie may fare a tad better in this one but it still remains likely to be an uphill struggle against the world number one. Elina Svitolina v Andrea Petkovic: In a tough opener, Petkovic will be aiming for her first win over Svitolina. This will be a key match for Svitolina to get back to winning ways having wilted under the pressure of trying to serve out the win over Kerber in Montreal. Petkovic would appear to be a good match-up for Svitolina with two previous wins for the Ukrainian player in Pune (6-2 7-5, 2012) and Zhuhai (7-6 6-3, 2015). Garbiñe Muguruza v Jelena Jankovic: Being an Olympic year it felt like there could be quite a few retirements in 2016… i’m worried JJ might be one of them but here’s hoping we get some more years of glitter and drama! Jankovic did reach the semi-finals of Mallorca in June, but it’s one of just two tournaments in 2016 where she’s won at least three matches. Muguruza is likely to be rusty having not played since June, but this has been a solid match-up for her in recent years. Laura Siegemund v Tsvetana Pironkova: Liking the sound of this one… clay court queen v grass court queen! Siegemund has won eight of her last nine matches on clay, winning her first WTA title in Bastad, while Pironkova hasn’t played since getting married after Wimbledon. In a first career match-up, i’m leaning slightly towards Siegemund although hard court neutralises things a little. Carla Suárez Navarro v Ana Ivanovic: Tough one… Ivanovic has been somewhat distant from the WTA tour following her marriage to Bastian Schweinsteiger. Her last appearance on the tour ended prematurely in Wimbledon where she was bothered by a wrist injury. Suárez Navarro lacks intensity at times but is still very consistent and tough to break down. Ivanovic can still be a threat despite her recent lack of form but Suárez Navarro is, in my opinion, the more likely winner in this one. Their last two matches have gone the distance, both on clay, with the Spaniard earning her first win over Ivanovic in Madrid last year in a super third round match, 7-5 1-6 6-4. Kiki Bertens v Sara Errani: Errani leads the head-to-head, 4-0 (although two of those wins were via retirement) but Bertens is a different player this year. At #23 in the world and with 46 match wins (already five more than a career-best 41 wins in 2010), Bertens goes into this one as the higher ranked player and probably the favourite too. Sloane Stephens v Eugenie Bouchard: Of all the first round matches, this is the stand-out for me. The pair are tied at 2-2 in their head-to-head with Bouchard winning their most recent encounter at Indian Wells, 7-5 7-5; Stephens had a bit of a collapse in that match. The American player reached the third round at both the French Open and Wimbledon, but has generally been slumping since Charleston. If she really wants it, she stands a chance in this one but i’m favouring Bouchard. Three Americans and a Italian! We found her!
. @CoCoVandey is taking over the #WTA blog during #Rio2016! Who do you think will win the gold medal in Rio? Have your say in the tournament poll below and as always, comments are appreciated! Only time for the preview tonight but I will post my draw predictions in the usual place on Friday. August 4, 2016 in Olympics, Tournament Preview, WTA. Hey James, will you be updating the Tennis Draw Challenge with this Olympics draw? Thanks – as always for your views – James! I’m beyond excited and support Kerber all the way. It’s a bit of everything: foolishness, fandom, her interviews where she said she knows she can win the gold medal (what a self belief – so proud of her; compare the new Angie to the old Angie that played against Lucie in the WTA finals!!!) her draw (yes – I know Stephens or Bouchard in 2nd round but who cares) and the surface (if it comes to a final between her and Serena: it is supposed to be a slow hard court comparable to the Australian Open where Serena could not get *that* many free points of her serve). And thanks for your comments, Murphy! 🙂 It’s been such an exciting year for Angie and her fans! I have to admit that I didn’t expect such a positive response after the match in Singapore against Lucie. Looking forward to Djokovic-DelPo on Sunday!! Serena didn’t play well in the Australian Open final, let’s be honest. She was very noticeably nervous. She missed too many first serves and was overhitting her groundstrokes. I’m not saying Kerber wasn’t magnificent or worthy of winning and nor is Serena. But Serena’s stats tell a story and you can’t argue with that. I’m not guilty of doing any of the things you mentioned and you know it. So frankly, I don’t care how angry you are. But with the use of your words (..didnt play well, let’s be honest” “her stats tell a story”) you are still implying that it was Serena who lost the match and not Angie winning it. I’m not implying anything. Is it possible Serena would have won had she served better? Sure! Is it possible that Kerber still would have won? Absolutely. What I’m saying is that it’s unlikely for Serena to come out playing like that here, when she doesn’t appear to be feeling any pressure. Last time she broke a barrier and won her 18th Slam, she went on a tear. Wait a minute! Did Coco make the USA team ?1? She is playing doubles with Beth. I will go with Serena and also think Angie will win something! Aga has a relatively easy draw but she has been all over the place recently so wont be surprised if she is out in the second round itself! Looks lijke she went out even earlier. Have to admit I’ve not been paying too much attention to the tennis, with so many other sports on offer in the Olympics (and some of those we Brits actually have a chance in! ), but Aga’s going out so early is definitely a story. No disrespect to Saisai who played a great mach but she shouldn’t have been able to beat Aga, who at the moment seems very below par and for some reason doesn’t look like she’s able to do herself justice on a tennis court. Will she be the next player to change coach? Oops – forgot about Andy Murray in the tennis! He’s in with an excellent chance in the men’s singles this time. Poor girl. 😦 To me, that explains a lot. I know that foul-ups do happen in long-distance travel, but faced with incompetence as outrageous as that, I’d be talking to my lawyers if I was in her shoes and trying to get some compensation (her luggage went to Rio whereas she didn’t – it’s so bad it’s almost funny). Just saw that article, I agree explains a lot. At the end of the day, tennis players are human and that’s a lot to deal with. In other news; good wins from Carla S-N and Heather Watson today, and Bara Strycova and Sara Errani reprise their final in Dubai by meeting in the second round after their respective wins today (whoever wins, I hope Bara doesn’t have as miserable a match as that final was).